Halloween is almost here! You know what that means…sugar, sugar, and more sugar. Spooky treats. Creepy candy creations. Ghoulish goodies. The most candy-filled time of the year! After that sweetness overload, you will be in need of something salty….like pretzels! 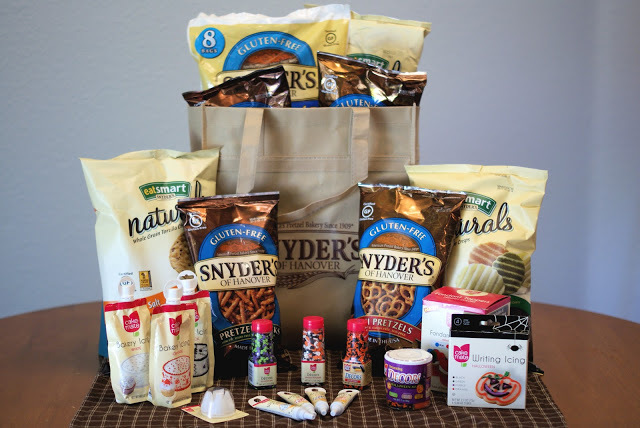 Snyder’s of Hanover recently sent over a package of gluten free goodies, including their much-loved pretzels. Our family is HUGE fans of Snyder’s gluten free pretzels! They are extra crunchy, salty and the perfect on-the-go snack. 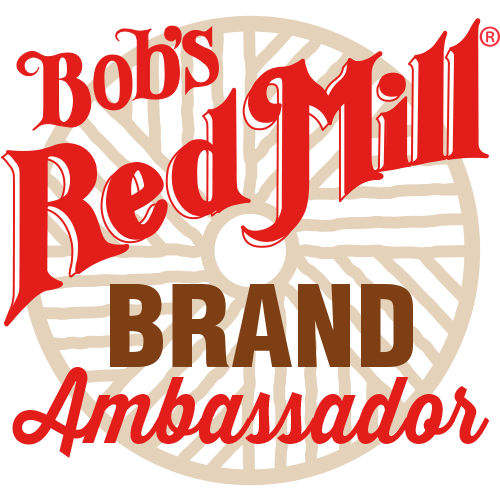 We may be a bit biased, but they are the best gluten free pretzels around. Snyder’s also included Cake Mate Halloween icing and decors. I was all set for my challenge…to come up with some frightfully-delicious Halloween pretzel creations! I came up with three simple Halloween treats, that are sure to be hit! For the cupcakes, I started out with my gluten free chocolate cupcake recipe (the best ever). 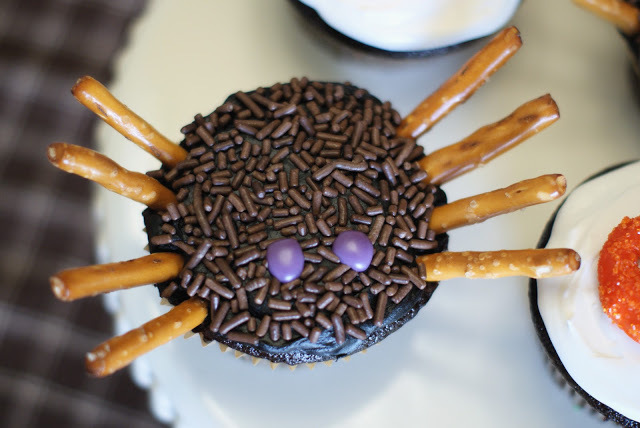 The chocolate spider cupcakes may be scary, but they are delicious. Black frosting and purple eyes. You can eat the legs too! 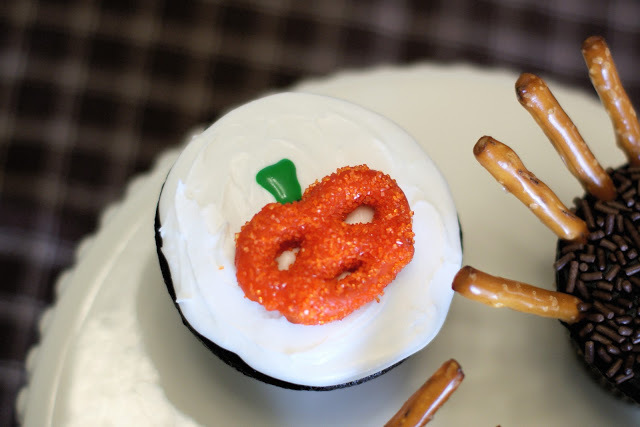 I also made pumpkins out of the mini pretzels to go on top of the cupcakes. So cute! Dipped in orange frosting and dusted with orange sugar. Pumpkins are much better when they are sparkly. I couldn’t help myself and came up with one more quick and easy treat…Halloween marshmallow pops! The kids will love helping with these. Who knew you could dip marshmallows in melted frosting? Oh yes, it’s good. Perfect to take to a Halloween party or wrap up to pass out to friends! Thank you, Snyder’s of Hanover! 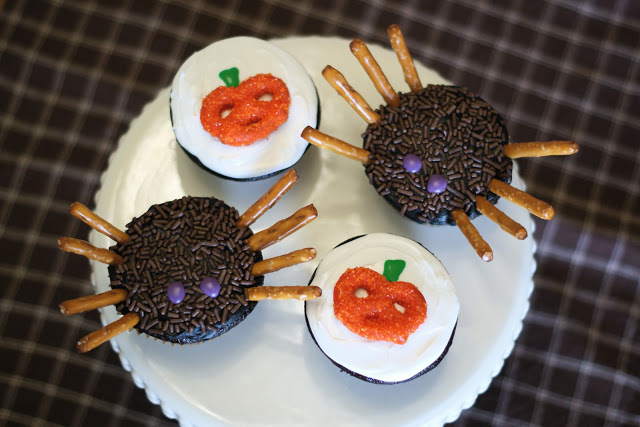 It was so fun to get creative in the kitchen with the gluten free pretzels and Cake Mate Halloween decors. Be sure to check out Snyder’s on facebook, twitter, and pinterest. Hope you enjoy my Halloween pretzel creations! Frost cooled cupcakes with black icing. Cover icing with chocolate sprinkles. Place 8 pretzel sticks into sides of top to make the spider legs. Using the purple icing, make the eyes. Serve cupcakes the same day. Into small microwave-safe, squeeze out orange icing. Microwave for 15 seconds at a time, until smooth and semi-liquid. Stir well. Coat pretzels with icing (careful, it’s hot) and tap off any excess. Place on parchment paper. Sprinkle on orange sugar decors. Let set for 10-15 minutes. Frost cooled cupcakes with white icing. Place pretzel on top of icing. Draw a stem with green writing icing. Serve cupcakes the same day. at a time, until smooth and semi-liquid. Stir well. Pour decors into separate small dipping bowl. Place pretzel in marshmallow and then dip into icing. Dip into decors and place on parchment or wax paper. Let set for 10-15 minutes in refrigerator. Store in air-tight container. (be sure to enter your extra entries below). The last day to enter is Sunday, October 21 at midnight. Don’t wait to enter…or else! THIS GIVEAWAY HAS ENDED. CONGRATULATIONS, HEIDI! Snickers and Kit Kats. ( it must run in the family)but really love caramel apples. Your treats are so cute Sarah! snickers and almond joy … dangerous!! Hmmmm Twix, I'd have to say, although I do like to steal the occasional 100 Grand Bar out of the kids' Halloween stash! I love Reese's Peanut Butter cups, yum! Love the Snickers bars with caramel & peanuts! I am a candy corn girl! Love the little boxes of Dots! I love Caramel Apples and Popcorn Balls! Thanks for the giveaway! 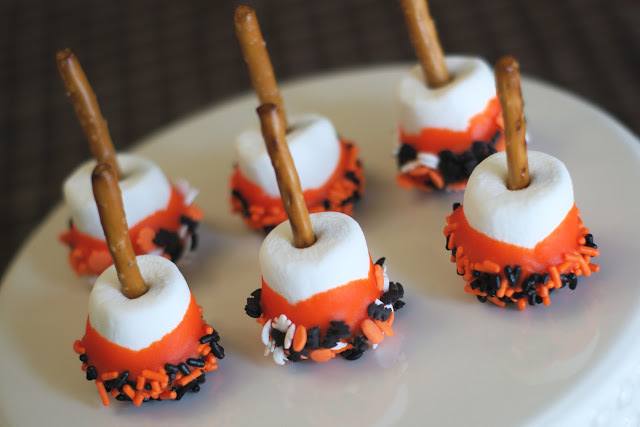 Caramel apples and candy corn. I love those pretzel/rollo treats. I had no idea that there was a gluten-free pretzel! I hope I win. (My GF 7-year-old will love me forever!) Thanks for the chance. I'd love it if you linked these awesome GF Halloween treats to my Gluten-Free Monday Party on OneCreativeMommy.com. I'm always searching for kid-friendly recipes. Great looking treats! Those marshmallow pops is a cool idea. You always have the best ideas Sarah! I love your baking and I am sooo glad you are doing this blog! I love old school candy corn and those orange pumpkins. I never say no to Almond Joys though. What a great Giveaway! Wanted to add, I loved Snyders pretzels before I had to go gluten free. I am so glad to know they have Gluten free pretzel. I will have to give them a try! Anything chocolate! Thanks for the giveaway! My favorite sugary treat is twix bars, reese's peanut butter cups and cookies. I love the marshmallow pops! They are so cute!!! I have been forwarding your blog to my friends. Thanks for the recipes!!! Reese's PB Cups…hands down! Can NOT turn them down! Homeade Carmel Corn and Carmel Apples! My favorite sugary treat is caramel apples– makes me feel somewhat healthy at the same time!! i have trouble deciding between sweet and salty caramel popcorn, or caramel apples…i saw some salted caramel apples that i just may have to try. I love pumpkin roll – and anything pumpkin. Just shoot me with pumpkin and I am good. So excited to win! Thank you sooooo much!